This loving tribute to the Red Sox and their fans premiered in 2001 at Boston's Lyric Stage, and was later produced At Stoneham's Theater To Go in 2004 and - after a revision that includes the team's first World Series Victory in 86 years, at Waltham's Hovey Players in 2007. "...delightful... the team of Kruh and Bergman breathes energetic life into the tired 'Curse' myth." "...will please the Fenway faithful..."
"In its first at-bat, 'The Curse of the Bambino certainly steps up to the plate... The songs are a hoot... a delightful series of tunes that describes the many close calls the Red Sox have had." "David Kruh's book is a good one, funny and stylish..."
"lovingly crafted... shrewd casting... 'The Curse of Bambino' has got a special whammy all its own." Read more reviews and see pictures of the World Premier press tour here. 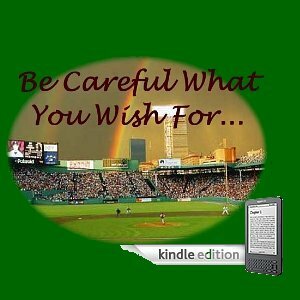 David's novel about the Red Sox is now available on Kindle!